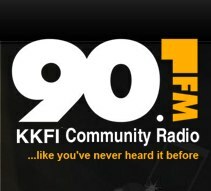 Daniel Doss and I will discuss our new musical, Wild and Willful Women, with Michael Hogge, the host of Arts Magazine on KKFI 90.1 FM, at noon on Monday, October 22. Tune in if you can. Remember, we’re presenting a free, concert-style performance of Wild and Willful Women at 7:30 PM on Monday, October 29 at the H&R Block City Stage at Union Station. We’re lining up some excellent singers and musicians. Posted on September 19, 2012, in Media Interviews. Bookmark the permalink. Leave a comment.